Coptic Language Course For Beginners! For all those who ever wanted to learn the language that descended from the Pharaohs.This is a wonderful opportunity that has been organised by Macquarie University to learn the basics of Coptic in just 4 days. 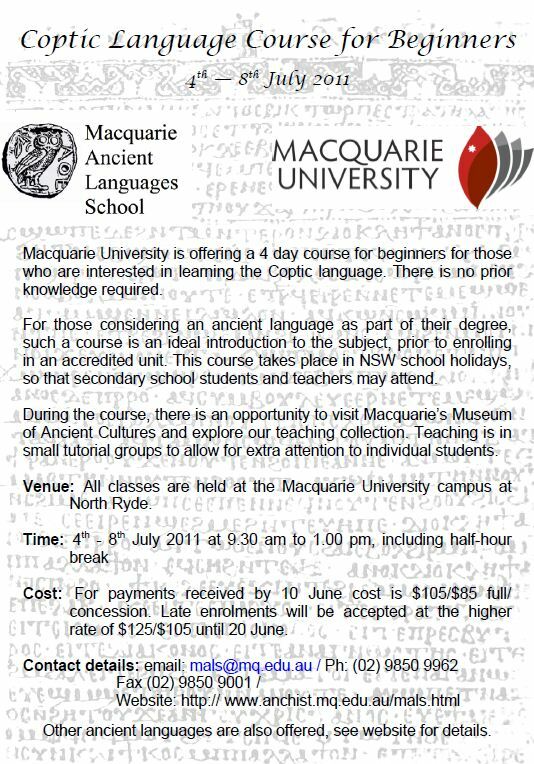 Contact Macquarie Uni for further details. Previous Post The Holy Family In Egypt! Next Post That Narrow Gate!